Design delights and Design distracts too. 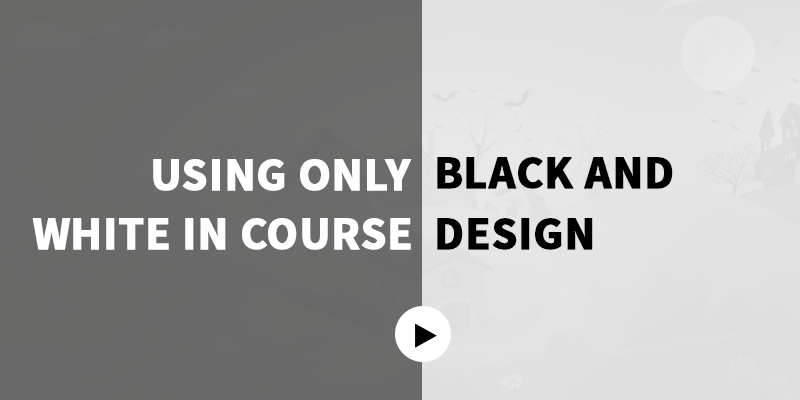 This week’s e-learning is again focussed on design. We also say this challenge saved our time, to the least, a couple of minutes. We’ve had no worries about trying different colors but right away picked only shades of black. Working with shades of black alone, offered a different experience which brought forth the beauty hidden in dark designs, now we know where to use and make an engaging impact in the courses. We have built an interaction which has shades of black, except the end screen. It starts with a noir environment, slightly freaky and ends with a motivational note. The interaction is a story where learner has to take up three activities to reach the goal.